While computer technology has become ubiquitous for much of the world, relatively little thought is given by the average consumer to the various sustainability aspects of their beloved technology including impacts on their health, as well as the rapidly increasing generation of surprisingly toxic e-waste. One computer company in particular decided to go green in a big way, by not onlyÂ being one of the first major manufacturers to completely remove certain hazardous materials from their products, but also making total product lifecycle part of the core design philosophy. Dell recognizes that climate change is real and must be mitigated, and we support efforts to reduce global emissions to levels guided by evolving science. As more and more people switch from traditional desktop PCs to handhelds and laptops, human contact with computers is increasing. As a result, ergonomics and the materials the computers are composed of are becoming more and more significant. Like many other manufacturers, Dell has partnered with Energy Star to offer a range of increasingly more energyÂ efficientÂ products which also have the benefit of running cooler and quieter; a boon for laptops that are often known for overheating. In the other areas of ergonomics and materials, a Dell laptop deals with each standard with impressive results. In addition to Energy Star, Dell laptops are designed to comply with 3 additional Eco Labels; Electronic Product Environmental Assessment Tool (EPEAT), Blue Angel, and TCO. Modularity â€” The majority of components found inside Dell products are easily removable, with standardized parts. This makes it easier to reuse or recycle them. Easy disassembly â€” The less complexity, the better. By designing smarter, weâ€™ve cut down on the number of screws in our products, and the ones that remain are easier to access and more consistent in type. 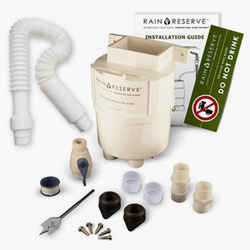 All parts are easily separable with commonly found tools. Minimal glues and adhesives â€” Glues and adhesives can create processing challenges for recyclers, so we have come up with other methods, such as innovative snap fits, to accomplish the same design goals. Restrictions on paints and coatings â€” We prefer integral finishes instead of exterior coatings, which can interfere with the recycling process or degrade certain plastics during processing. If paint is the only option, we use paint that is compatible with recycling. In order to get this technology to end users, Dell has adapted their packaging materials to use FSC certified bamboo-derived materials for up to 2/3 of their products,Â including laptops and smart phones. Despite many dubious claims about the use of bamboo here in North America, the Dell manufacturing facility is close enough to bamboo that it is a local and renewable material. Dell computers are designed to be easily maintained and upgraded, something I personally appreciated in a previous career in IT, so their useful lifespan is improved over other products that aren’t as easily adaptable to newer technology. At the end of your device’s lifespan, thanks to Dell’s efforts to consider the total lifespan of their products, it is far less likely to end up as e-waste than a product that wasn’t as carefully designed. 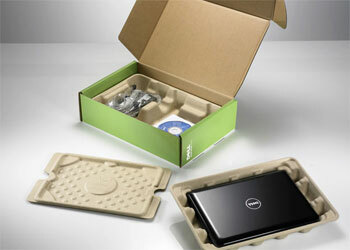 Information about additional sustainability initiatives and policies can be found at Dell’s website.